Native American women are murdered at a rate 10 times the national average in many U.S. counties, according to a report funded by the U.S. Department of Justice. They are assaulted at rates higher than any other racial or ethnic minority, with the overwhelming majority of assaults perpetrated by nonnatives. Thousands of native women are missing or have been killed in North America, federal officials have reported. Indigenous Lutherans are working to raise awareness about these and other gender justice issues related to native communities. “Eighty-four percent of Native American women experience violence in their life,” said Kelly Sherman-Conroy, citing a report from the National Institute of Justice. In her work as a Luther Seminary (St. Paul, Minn.) doctoral candidate and minister of social justice and advocacy for children, youth and family ministry at Nativity Lutheran Church, St. Anthony, Minn., Sherman-Conroy lifts up this reality through research, activism and liturgy. “The stories of these women haven’t been told,” she said. Jurisdiction in such cases is often an issue, said Wendy Helgemo, director of the AT&T Center for Indigenous Politics and Policy at George Washington University, Washington, D.C. “Pay equity, violence, employment issues, family issues—those affect [indigenous] women disproportionately,” she said. Helgemo worked with former U.S. Sen. Harry Reid to include provisions in the 2013 Violence Against Women Act reauthorization that enable tribes to investigate, prosecute, convict and sentence nonnatives who assault native spouses or dating partners or violate protection orders on native land. But jurisdictional problems remain, she said. For example, tribes have no such power in cases of crime between strangers, including sexual assault. 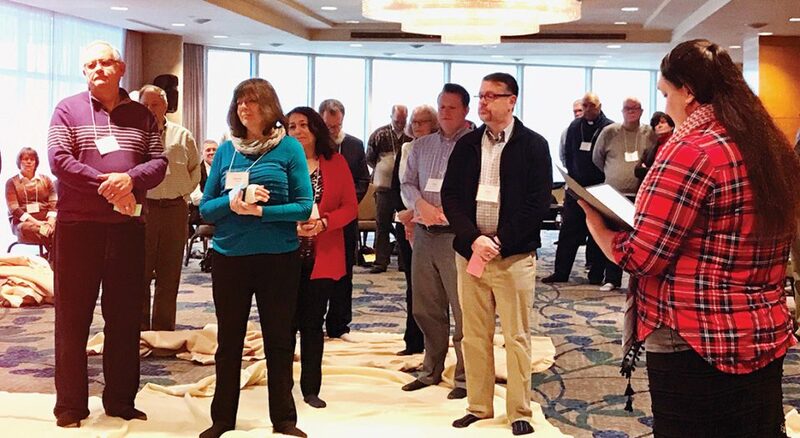 One tool Seminole uses in such work is the Blanket Exercise, an experiential workshop developed by the organization Kairos, which she trains advocates to employ. “Participants bring blankets, and the blankets represent the land base. [The participants] represent the indigenous people on that land base,” she said. The exercise explores the experience of land being ripped away through unjust practices. 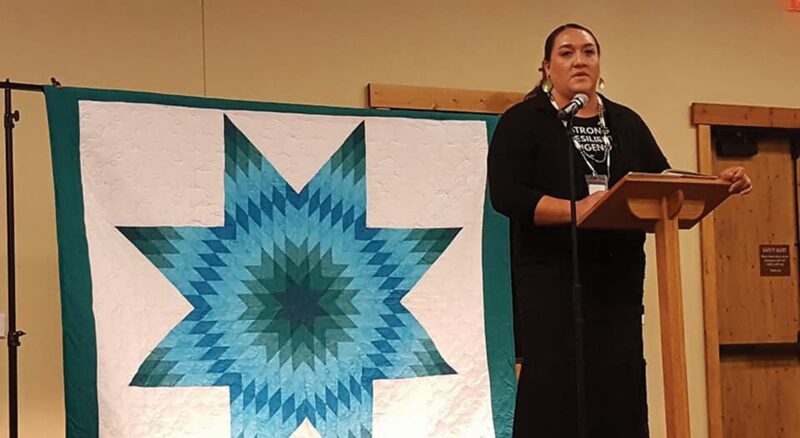 The workshop provides “a deeper understanding of indigenous people and [their] history in this country and their relationship to the church,” Seminole said, including bringing attention to missing and murdered indigenous women. The tool will be used in ELCA congregations to start conversations, Seminole said, adding, “What I really want to see in the next year or two years is the development of some real relationships and real accountability within our congregations, and an understanding of barriers” to higher quality of life for indigenous women and others. 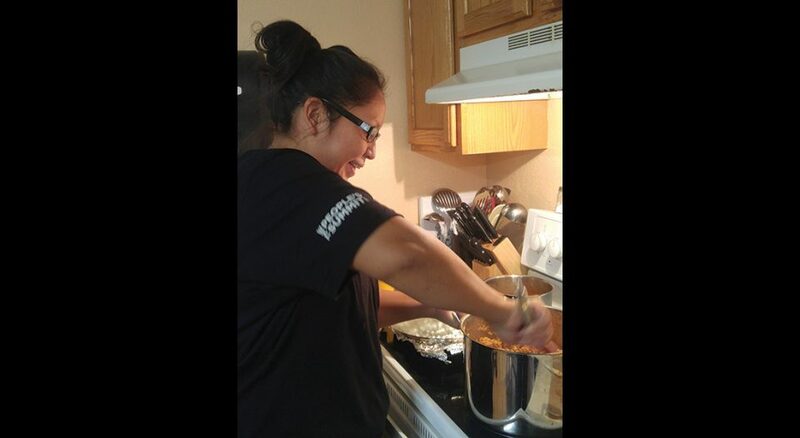 Unemployment is one of the biggest barriers, said Karen Ressel, pastor and director of the Pine Ridge (S.D.) Retreat Center. 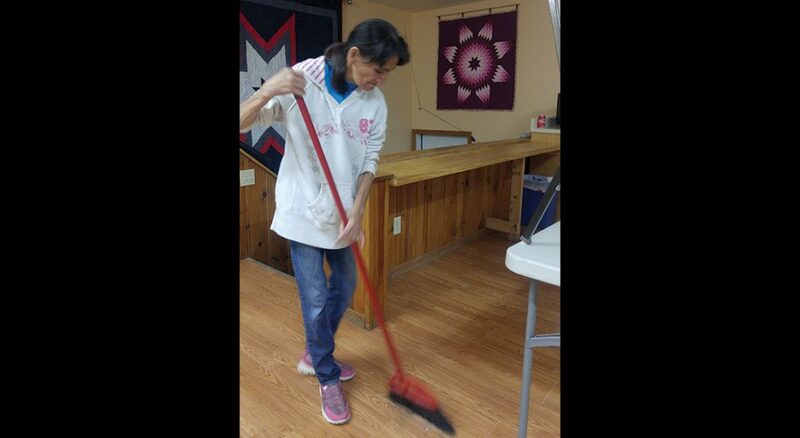 The unemployment rate on the Pine Ridge Indian Reservation, home to the Lakota tribe, is estimated at 85 to 90 percent, she said. The program also complements the retreat center’s cultural immersion ministry. When visiting volunteer teams serve at the center, they work alongside Job Corps participants, helping bridge the gap between visitors and community members, Ressel said. Solomon Trimble, a member of the task force developing an ELCA social statement on women and justice, also seeks to bridge gaps on awareness of issues facing indigenous women. “I have had the opportunity to bring many different native issues and perspectives to the task force,” he said. An actor who appeared in Twilight, Trimble is also the screenwriter of the award-winning short film Missing Indigenous, which examines what it calls the “silent epidemic” of the disappearance of indigenous women. “Each member of our team had a family member or direct friend fall victim to the crisis,” he said of the film crew. Trimble would like to see ELCA members play a more proactive role in gender justice among native women. He hopes advocates will “go into indigenous communities and ask what difficulties they face to formulate a plan of action to assist.